Don't forget to submit your entry in the Sodastream Giveaway! After the RAMBAM's original manuscripts were recently digitized and made available online, it is now the turn of the Dead Sea Scrolls. The Israel Museum has been running this project to make the Dead Sea Scrolls available online, and they are finally available for your reviewing. An old debate was recently again brought forward. The other day Rav Yoshiyahu Pinto mentioned he thinks it is necessary to separate religion from the State. Then yesterday a professor of Mishpat Ivri (a legal system based on the Judaic system), who is supposedly close with Rav Elyashiv, said on the radio that he knows that if the issue were to be raised for serious discussion Rav Elyashiv would support the separation of shul and State. The issue of Separation of Shul And State has been debated for years, with logical arguments being presented by both sides. In the past the haredi MKs have never supported it. I would suggest that such a proposal, if it were to ever be seriously raised as an agenda to be considered, would never win the support of the haredi community. Despite the benefits to Judaism in general, the haredi community would be the hardest hit of such a proposal, mostly in the economic sphere. Suddenly, the government would not be allowed to fund religious education, the government would not allocate plots of land for shuls, mikvas, schools and other religious institutions. The government would not fund kollels and yeshivas. I assume there would not be any state controlled kashrut organizations. Because of all that, suddenly all the religious schools would suddenly become completely private, requiring expensive tuition and building funds. Shul membership would increase, as the communities would have to buy plots of land and cover other expenses that currently are covered by the government. Jobs would be lost in the sense of no more masgichim or chief rabbis as employees of the State, along with a whole slew of other clerks and positions involved in religious affairs offices. Haredi support, really all religious support but I think it is more of a problem by haredi, for such a proposal of separation of Shul and State would be like biting your own tail. I also am not sure how, in what way, our flavor of being a Jewish State would be defined or in what way it would manifest itself, if the State could not be involved at all in religion. Hello all. I am a Chareidi resident of Ramat Beit Shemesh and I attended the Achdus rally on Sunday organised by Rabbi Dov Lipman. It sounded like a very promising event and, as a supporter of the Tov party and subscribing to its message of communal unity, related strongly to the aims of the rally. Timing had it that I arrived just in time to hear the words of a Mr. Raanan Amsallem. He was going on about how Chareidim are leeching the municipal funds. I said to a colleague I was standing with - "this stinks" and I left not much longer after having come. I couldn't believe an event I had been promised would me no more than a rally of unity would be a platform for hate and venom. I wrote to Rabbi Lipman to complain, stating that I had come at personal cost to support a cause that effectively did not directly affect me or my community (only by unreasonable association on the part of others) and one of the speakers chose to insult those of us from the Chareidi community who had chosen to attend. Rabbi Lipman admitted to me that it was a small part of the speech that had been added in the last minute without him seeing it and in effect, was anti-chareidi and false. Specifically, 4 lines where Mr. Amsallem (in the words of Rabbi Lipman) "talked about budget cuts as if they were happening only in the non chareidi community when in reality it was done across the board". He gave me permission to convey on his behalf that he "was against any message which came across as anti chareidi". Modiin Ilit has generated an industry of mehadrin workplaces, in which companies are encouraged to establish a location in Modiin Ilit and employ women only. These might be the wives of kollel yungerleit who are the primary breadwinner in their households, or it might be women who are looking to work in a "mehadrin" environment. The problems with these places are well-known, mostly in the sense of the trade-off for that environment is usually translated into [significantly] lower wages. The benefits are usually the environment, the hours of employment are favorable to young mothers and the ability to work close to home. The "Yom Geebush" is a very Israeli institution. The Yom Geebush is a day where the entire company, or certain divisions of the company, go out on a trip and spend the day in a casual and enjoyable atmosphere. It builds morale, gets people familiar with co-workers in a non-work environment, and can be enjoyable. The Modiin-Ilit website is reporting on a situation that happened in one of the "mehadrin" companies of Modiin Ilit. One of these mehadrin companies took their employees, last year, with the spouses, on a trip - they went on a jeep tour. A number of women , after the fact, went to the rav of the Mekraz HaTaasuka and complained that shocking things happened on the tiyul. The rav looked into it and decided nothing unusual happened. A year later the same women came and complained again, even though some of them no longer work in that office, and applied pressure to have the fun tour canceled. Caving in, the rav told the company not to take the employees on a jeep tour, rather they should go to Tsfat and tour the kivrei tzadikim. Employees complained about the change in the plans, to no avail. I don't really care where a private company takes its employees for a trip. I just find it disheartening that according to some people there can be no such thing in the frum world as having fun and enjoyment. Everything must be a religious experience of sorts. And to think that nothing inappropriate can happen when taking a tour of Tzfat and kivrei tzadikim is simply naive. This just reminded me of a story from my high school days. I was probably in 9th grade, a freshman in Telshe Yeshiva High School, and there was a general assembly called for the Rosh Yeshiva to give a mussar shmooze. I remember the rosh yeshiva getting up and talking, and the only part of the shmooze I remember is the part I am about to quote, and he said "There is a new word being said that is not good F-U-", and all us young guys were tzittering in our seats, shocked and excited, waiting to hear the rosh yeshiva, an elderly and very-well-respected rosh yeshiva, rail against our nivul peh thinking he was about to spell out a certain four-letter word in the beis medrash. Man! were we excited! When we arrived here, there was already a people that was living here for many years.. it is clear that what is desired is Eretz Yisrael according to the Torah, but if a government would arise that would say we must concentrate the settlement to large blocs and forgo isolated settlements - I could understand that. It is precisely like when Menachem Begin returned half the Sinai and destroyed Yamit, but nobody claimed he was a hater of Israel. Jerusalem must remain for the final step of negotiations. I hope that she will not be harmed. We can continue to live there for many years, just like today. Also after the Six Day War Ben Gurion gave orders to Teddy Kollek to take down the wall and unify East and West Jerusalem to one authority. What? DO Tel Aviv and Yaffo not live in peace? In Haifa do Arabs and Jews not live together peacefully? Shpritz Your Own Soda - SodaStream Giveaway! I have had an on and off relationship with Sodastream for many years now. Sodastream makes a great product, allowing you to shpritz your own soda. They sell the soda maker machines, the CO2 cartridges for carbonating the water, the bottles and flavoring syrups. Sodastream is an Israeli company, so by buying Sodastream you are getting a great product while support Israel at the same time! SodaStream is easy to use. All you do is fill the bottle with water, screw it into the machine, shpritz the CO2 and then pour in the syrup. There are three ways for you to participate, and you can get a maximum of three entries in this giveaway contest. They all include leaving a comment on this post. For you to participate (US residents only), you must leave a comment on this post stating your favorite flavor. 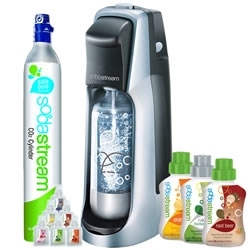 An additional entry can be obtained by tweeting "I just entered to win a @SodaStream Starter Kit on @gldmeier's blog at http://bit.ly/n2TNzC ! ", and then drop a comment here saying you tweeted. An additional entry can be obtained by subscribing to the Life in Israel newsletter (and then leave a comment below saying that you did). I will choose the winner, by using a random number generator and then selecting the winning comment based on the generated number. If the comment leaves me no way to contact the commenter, and they do not respond to the announcement, I will select a different winner. No anonymous comments will be accepted an entries - if need be, make up a name, just figure out how to allow me to contact you. As well, if the winner does not respond in 24 hours to my email, I will select an alternate winner. The winner's name and the State of residence, but no other personal details, will be announced. 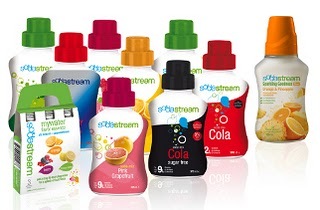 NOTE: The SodaStream Giveaway will run until October 6, 2011 10:15 PM Israel time. You must be a United States resident to participate (SodaStream USA will only ship this within the United States). The anti-Jewish discrimination on Har HaBayit continues. Sometimes it goes through periods where things seem to be getting better (i.e. more relaxed) for Jews on har HaBayit, and other times it seems like things are getting worse. Yesterday, a 75 year old person was arrested on Har Habayit. No, he did not do anything inflammatory. He did not storm the gates, he did not prostrate himself on the floor of Har HaBayit, and he did not even dare mutter some silent prayers to God against the rules of the police. He simply took a drink of water that one of his students had offered to him, after he started feeling ill. The problem was that he made a bracha (shehakol) on the cup of water. As soon as he did, the escorting policeman, a Druze police officer, stepped forward and arrested him. The students tried to intervene and explain, but the policeman insisted and proceeded to arrest Rav Yosef HaKohen (father of the rosh yeshiva of the yeshiva of Itamar, and son of respected Morrocan Rav Masoud HaKohen). In response to the arrest, the organizations that encourage ascending Har HaBayit are planning, for the coming days, a mass protest ascent to Har HaBayit. I am not quite sure what that will accomplish, as the police deal with a heavy hand against the Jews on Har HaBayit and will be quick to arrest anybody at the protest who does anything even slightly "offensive". This is interesting. I never before heard of a "tefillin allergy". Sounds like a good excuse a teenager might make up for not putting on tefillin during a rebellious stage, but according to the article this tefillin allergy is real..
An article in the September issue of the Hebrew-language medical journal Harefuah (of the Israel Medical Association) by doctors at Sha’are Zedek Medical Center describes the unusual case. The boy was described as the youngest person to be recorded with such an allergic reaction to leather tefillin straps. Other victims have been as old as 77 (such a man was diagnosed after 20 years of suffering from allergic contact dermatitis). “Tefillin allergy” is relatively rare in Israel. It is due not to the tefillin themselves, but to the chemicals used to process the leather straps. Almost all cases involve the phylacteries worn on the arm, but there are rarer cases in which those worn around the head and touching the neck also cause rashes there. The rash appeared in the boy about a year after he first began to don phylacteries for his bar mitzva, wrote Drs. Pinhas Hashkes and Efraim Sagi of the Jerusalem hospital. In most cases, the inflammatory response appears in the area of the middle finger, around which the straps are wrapped. It is less common on the forearm and much less frequent on the nape of the neck. In some patients, the rash appears in the form of “straps,” but in others, the rash is not under the places on the skin that are in contact with the straps. According to estimates, about a quarter of the male Jewish population in Israel wears tefillin on a regular basis. But as they are worn for less than an hour at a time, the allergic response does not appear in all users with sensitivity to the chemical. Some who were diagnosed turned to their rabbis for permission to wear their phylacteries over their sleeves instead of their bare arm, while others place clear cling plastic under the leather straps. In addition, a Bnei Brak shop called Machon Pe’er sells tefillin processed without the offending chemical. 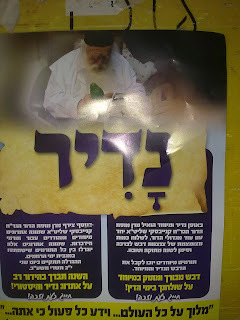 Rav Malinowitz, in his weekly Chadash article, did not continue this week laying out his position regarding the OROT school issue that he had begun last week (he explained there that he thought there were 2 columns left to Rosh Hashana, and he was then informed that there was only one left, and he didn't want to write about this the week before RH), but he did offer to send his thoughts by private email for those who would correspond with him asking for those thoughts. Someone emailed and a conversation ensued, and with permission from both parties I present to you the entire conversation that will hopefully help you understand his position. To ease the reading, I color coded the conversation. There are times where the discussions settles to inline comments in the emails. I kept the color coding so it would be easy to understand who said what. Green text is the questioner, purple text is Rav Malinowitz. In an attempt to reach some lowest common denominator between the various communities in Beit Shemesh, a number of community members have put together the attached petition. The idea is to cleary denounce harassment, both verbal and physical, as unequivocally unacceptable. Would you be prepared to sign this. I am afraid I will not sign the petition ---because I will not be meshatef pe'ulah with people that I hold have a definite anti-chareidi agenda here, loving every minute of this, and painting all "chareidim" with the same brush. And demanding, actually demanding, that 'chareidi people' condemn what is going on because "they" have a special responsibility to do so to show that they do not approve. To my mind,this is like demanding that every Italian condemn bank robbery after the Mafia pulls off a job. That every Russian condemn murder after the Russian mafia has someone killed. That every Jew condemn financial fraud after Bernard Madoff was arrested. That every white condemn the KKK after they burn a cross on a black's lawn. That a few (hired, by the way) kooks who should be arrested and thrown in jail have managed to give a black eye to RBS and BS in the eyes of outside circles is entirely the fault of the people I refer to in my first sentence. They are kvelling at this opportunity to show "the true face of chareidi Jewry". And it is not the first time they have gone public to "expose chareidim". By 'officially' condemning what is condemned by any sane person, I am playing their game. And so I will not. I will not officially - 'as a Chareidi rabbi'-- condemn the actions perpetrated by these hired kooks, just as no Jew should condemn officially, as a Jew, what Madoff did "to show that all Jews are not like that", and no white should officially condemn, as a white, the lynching of a black. There is no greater polarization of the Jewish people that can be perpetrated than to demand that any chareidi must show that they do not approve of these hired kooks' actions. So much for the 'achdut' people. Thank you for your response. I wish to share my thoughts. This is not about achdut. It's about addressing a context in which the kooks operate. I will explain. When Rabin was murdered I worked in Tel Aviv. The contemptful looks I received for many months were so many that I lost count. At first, my thoughts were similar to what you write below. Then I read R. Lichtenstein's piece on Rabin's assassination. Bottom line summary of that piece as I understood it: While the overall national religious community was not directly responsible for the murder, elements of our community did, indeed, create the tone and context in which it took place. It was time to re-think our value system, epsecially in terms of prioritization of values. That the hilonim were kvelling didn't stop R. LIchtenstein from writing what he thought to be true. My thoughts: while the overall haredi community is not responsible for what's going on in Orot, elements of the mainstream have, over the years, set the context and tone. Empty cart (really? empty?? ); Rabbit eaters! This is a Jew?? ; Mouthpiece of R. Elyashiv on R. Drukman: apikores be-mezid; R. Kanievsky (re: R. Chaim Amsalem's position on conversion): apikores; A very moderate haredi Rav who I respect deeply and whom you know very well: "This is not a Jewish state. It is a state run by leaders who are partly descended from Jews." I wish to point out that there are plenty of leaders in the mainstream haredi community who never took part in setting such a tone: Rav Moshe and Rav Shlomo Zalman are just two. There must be others still alive. I would have hoped that while certain elements of the community are kvelling, it wouldn't stop anyone from saying what needs to be said. May I publish this conversation? Yes--as long as you publish every word that I said, including this response to your response (you may leave out this sentence). I will not give my opinion about what R. Lichtenstein said. But I do know that here it is totally untrue (I speak of the actions of the hired kooks vis-à-vis the chareidi world.) These are the same hired kooks that were hired to yell and say tehillim and blow shofar at people going to a real-estate "fair" selling apartments in RBS Gimel because of some supposed kevarim that were there. (It was near my Shul; I recognized them when I saw a video) The only thing that stopped them them there from acting the way they acted here is that they were facing adults. Nu, what value system of chareidism brought that about? And so I don't agree. And by the way--may I demand that you condemn those who polarize the Jewish people by reinforcing what they purport to condemn in order to further personal agendas? I am not a communal leader. Nobody gives a hoot what I think. You are a communal leader. Lots of people care about what you think. Maybe, maybe not.....but I explained my reasoning already for not speaking out in an official capacity. It reinforces the polarizing, and lays a guilt trip on chareidim. Sorry, I'm not playing. Those who quickly made this a case of us against them --would they do so if a chareidi robbed Bank Mizrachi? If a charedi robbed Bank Mizrachi in the name of the Torah, and if R. Kopschitz sat on the dais of a gathering organized by the robber, then I hope so. I had and have no problem with people in my Shul going to Orot to try to minimize the girls being traumatized (although I have no personal knowledge if it was necessary; and also whether or not it exacerbated the situation). I had and have a huge problem if they "go as chareidim"
I am glad you had no problem with that. Thank you for not opposing that. I repeat--I do oppose it if they "go as chareidim". And sir : This is most definitely NOT a "Jewish State ". It is at best a State of Jews. I suggest you read The Jewish State: The Struggle for Israel's Soul by Yoram Hazony, and just about everything Moshe Feiglin writes. State of the Jews but not Jewish State is a legitimate position, albeit one with which I firmly disagree. State run by leaders partly descended from Jews is not legitimate, I believe. At any rate, I believe you have missed my primary point. There is a context and tone set by any number of mainstream charedi leaders over the years in which the kooks operate. I didn't miss it at all-I totally disagreed . And that is a polarizing statement, as surely as if I would say that the dati-leumi crowd has created a context and tone set by any number of mainstream dati-leumi leaders over the years that the State takes primacy over Torah. The Russian mafia does not claim to knock people off in the name of the Russian Orthodox bible or whatever other texts they believe holy. 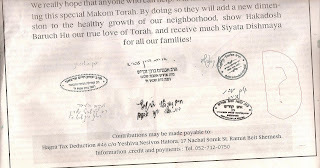 Madoff did not claim to rip people off in the name of the Torah. The kooks do claim to be acting in the name of the Torah. R. Kopschitz was seated on the dais of the protest organized by the kooks. Is R. Kopschitz a kook? Please see below a few additional thoughts. I cannot continue this back-and-forth for lack of time. But I cannot leave you saying things that are not so . You can do what you want with this, you can even have a last word--but not to me, for then I will be forced to answer..and only if you do not edit even one word from what I write. The kooks do claim to be acting in the name of the Torah. Does that make a special responsibility of chareidim to condemn their actions? By your reasoning (and that is PRECISELY my point ) any Torah-observant Jew should ; why are chareidim given a special responsibility?Polarization, my friend, and points scored, that's why. I'm not playing. אנו הח"מ, מוקיעים את כל מי שנוקט באמצעי הטרדה פיסית ו/או מילולית נגד כל אדם באשר הוא, ובמיוחד נגד בנות שלבושן אינו לפי טעמו של אדם זה או אחר. כמו כן, אנו קוראים לכל רבני בית שמש ומנהיגיה להוקיע באופן שאינו משתמע לשתי פנים את כל מי שנוקט באמצעי הטרדה כנ"ל.
I hope this helps to clarify the position of Rav Malinowitz. All comments on this topic should remain on topic and not get personal. No personal attacks, no disrespect (you can disagree, just do so respectfully), and keep it civil. I will moderate the comments on this post with a heavy hand. Google Maps Street View was spotted today imaging the area of Shuk Mahane Yehuda in Jerusalem..
10. Fascinating. The original manuscript of the RAMBAM's writings is being released to the public in digital form. Here is the fascinating background to the story. And see the manuscript here. After last week hafganat anak to which just a few hundred supporters of the thugs turned up, the supporters of OROT are holding a hafgana this evening. I plan to be there. I do not know if their rallying call of either you are with us or against us is accurate, but I do feel it is important the the thugs should be marginalized and even chased out of town. Participating in this hafgana is one step in marginalizing them, and leading Bet Shemesh back to being the diverse city it should be, where different communities can live side by side, each being allocated the resources needed without stepping on the others' toes. Shaking hands with women is a no-no, and not just in Orthodox Judaism. In Iran as well, men are not supposed to shake hands with women. The Iranian Men's Volleyball team apologized after shaking hands with a woman referee after a recent match. The hand-shaking incident caused quite a stir in the home country, as the public display of indecency raised the ire of many. The volleyball match had been between the Iranian team and a team from Afghanistan, and the referee, a female, was from some country that does not have enough vowels to be pronounced in English (Kyrgyzstan). I would have really liked to see this story with a referee from the United States, or even from Israel! They quickly apologized for their mistake. The apology is expected to have been just enough for them to escape execution upon returning to Iran. The Forward has a piece on how Orthodox women are pushing the limits of modesty..
On a recent Sunday, Nechama Silverberg slipped into a vintage skirt at a pop-up consignment store in Brooklyn, trying on clothes as any other hip 20-year-old might, but for one difference: She carefully measured whether the skirt revealed her knees. Around her in the Frock Swap, an Orthodox clothing business celebrating its first anniversary, were other women pushing the boundaries of modesty: an exposed elbow here, a bare collarbone there, a skirt that ended at just the wrong side of a pair of knees. Many were on the lookout for unique outfits for the coming High Holy Days. Some were engaged in angst-ridden mental calculations about whether an item was tznius — modest according to Jewish law — and if not, how it could be altered. Stores and websites such as Junee and FunkyFrum have been catering to more style-conscious Orthodox women for some time. At the Frock Swap, plenty of women pulled off stylish outfits with nary an elbow or a knee in sight. Tznius is a particularly gray and, it seems, malleable area of Jewish communal life. Rabbi Avi Shafran, a spokesman for the conservative Orthodox umbrella organization, Agudath Israel of America, said there are two ways to interpret this practice. There is the halachically mandated “covering up,” which refers to a woman’s upper arms and upper legs and to a married woman’s hair. Then there are “communal norms,” such as a prohibition against bare feet, which are not “inherently mandated” and are therefore left up to individual communities — and in many cases, individuals — to decide. Shopping Spree: Lakey Nemes (left) tries on a sequined dress at the Frock Swap. She didn’t buy it because it wasn’t modest enough. “As in every community, there are ideals,” Shafran said, adding that there are those who hew to them as well as those who fall short of reaching them. Indeed, this past summer a debate over tznius exploded in the Dear Rachel advice column pages of The Jewish Press, which covers the largely Jewish Five Towns on Long Island. “These women are a disgrace to Orthodox Judaism and should not be tolerated,” the exasperated reader wrote. The sisters, who grew up in Sydney, Australia, are daughters of a Chabad rabbi. Chanin, 26, said they always had a passion for finding ways of blending fashion with Halacha. They would take a short dress or a sleeveless or low-cut top and turn it into something modest “while still being fashionable.” Women at the Frock Swap spoke of shopping in big box stores to hunt for tznius-compliant pieces, or of finding inappropriate items and then adding fabric, taking down hems or slipping a top underneath to solve the problem of revealing too much. Polonsky, 25, lives in Cleveland and flies to New York every four to six weeks for Frock Swap sales. She said that she has to dress slightly more conservatively in Ohio than in New York. She also said that there are some items the Frock Swap never accepts, such as miniskirts or pants. “We want to help people look good and be tznius,” she said. Polonsky pointed to the racks around the store, which had taken over a Crown Heights florist shop but could just as easily have been set up in a Five Towns living room or in Chanin’s home. There were high-end designers such as Armani, Fendi, Gucci and Marc Jacobs; a 1960s Ports jacket for $565, and a Montclair jacket for $500. Less expensive items, such as pieces by Nanette Lepore and See by Chloe, were there “to keep the price range available to everyone,” Polonsky said. Polonsky, Chanin and a few helpers were dressed in snug black T-shirts emblazoned with the Frock Swap name on the front, and slogans on the back that ranged from the innocent “Dare To Be a Frock Star” to the more provocative “Like I Give a Frock.” At the front of the store, a speaker blasted out a range of music from Aretha Franklin to Eminem. By midday the store was alive with about a dozen women — some with strollers, others carrying babies under their arms. Even some girls from a local yeshiva stopped by in their uniforms to flick through the racks of clothing. “It’s very personal for each woman,” Silverberg said of the mental calculations that went into a decision about what to wear. “I feel that what Halacha gives us is a gift of laws that can outline how to be self-dignified.” But she added, “There’s no law against looking beautiful.” Avigayil Waxman, 19, who looked striking in a baggy orange shirt and a black-and-white pencil skirt that ended above the knee, said it was a battle for every girl trying to be fashionable and tznius. “Everyone defines it differently,” she said. “At the end of the day, everyone knows if they feel guilty or feel good for what they are wearing,” said another woman named Nechama, 22, who declined to give her surname. “You have instinct, God gave that to you. Dressing modern and modest does not have to mean garish and outlandish. You can look around most ultra-orthodox neighborhoods and see that this article is not exaggerating, though it seems to be more of an issue in the "flashier" areas, such as Bnei Braq, Boro Park, etc. rather than in "bedroom communities".. Here is a class on Marketing. 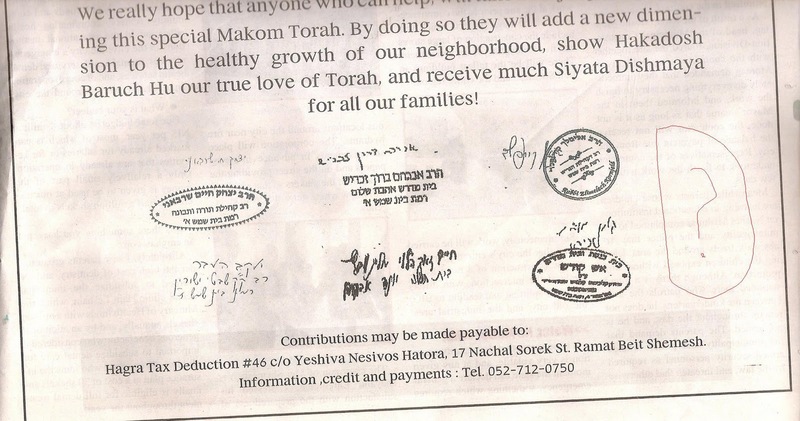 A local yeshiva put out advertisements in one of this week's local haredi newspapers. The advertisements ran in English and in Hebrew, and they are a call for the community to support the yeshiva financially. 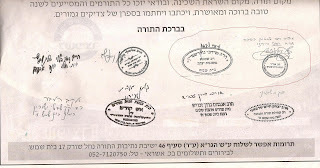 I have no opinion of the yeshiva itself, and nothing written here should reflect in any way anything about the yeshiva. I have heard the yeshiva is a good yeshiva, the boys are learning Torah seriously, and I know nothing more than that. I am not familiar with the yeshiva first-hand. Back to the ads. There is a noticeable difference in the Hebrew and English ads, and they, or more likely the person who created the ads for them, is clearly familiar with both the English-speaking and Hebrew speaking communities. There are two names that appear signed at the bottom of the Hebrew ad that do not appear at the bottom of the English ad. It seems that whoever put the ad together knows fairly well that these two names (personally, I would have only thought to remove one of them if I had been in that position) would do more harm than good had they appeared on the English side. If your own rabbi is signed on a letter of support, would you withhold support because a different community's rabbi whom you might dislike is also signed on? Is that dishonest marketing? Isn't all marketing dishonest and only playing to what the viewer/reader would like to see? PM Netanyahu went on the offensive, attacking the United Nations itself, in his speech regarding the Palestinian bid for unilateral statehood. He quoted the Rebbe of Lubavitch in the process. Back in the day, you knew you could always count on Litvishe rabbonim being Litvishe, Hassidic being hassidic, and Sphardic being sephardic (in no particular order). Nowadays, you cannot even be sure of that! How so, you used to be able to go and buy a bottle of wine, supposedly blessed by the baba Sali or Rav Kaduri or somone else of similar stature, and maybe he had even had a drink from the bottle, or from some previous gilgul of that wine that was then mixed into 500 other barrels of wine, and you would pay some good money to get wine from a sephardic mekubal, and shalom al yisrael. Some hassidic rebbes did similar stuff, handing out shirayim or fruit or dollar bills or whatever, and it would supposedly be a source of blessing for the recipient. The Litvishe were never into that stuff. The rabbonim were definitely not into it, and if a layman would go buy one of these things he had to have a great explanation as to why he did, otherwise his friends would look at him suspiciously. 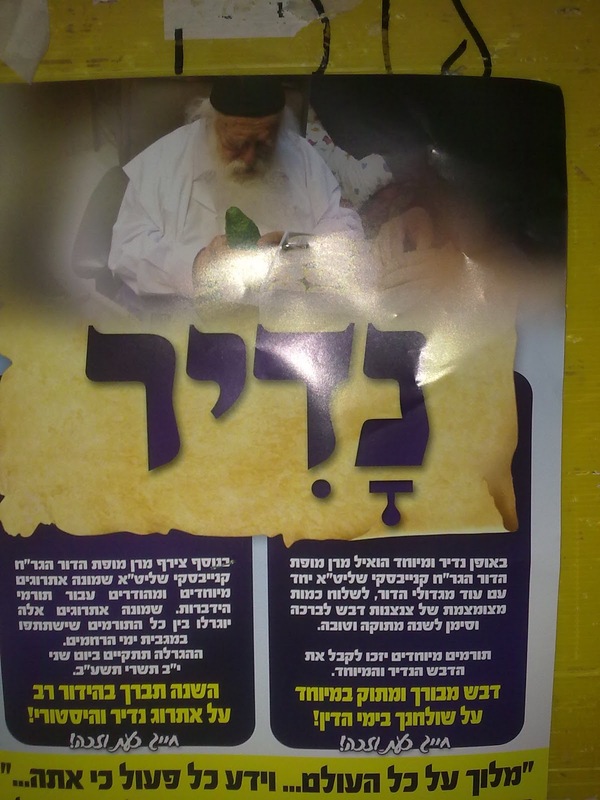 In the past couple of years ads have been put out, by Kupat Ha'Ir no less, hawking bottles of wine blessed by Rav Chaim Kanievsky. Just as if he came to Israel straight from Morocco or Baghdad. He is now competing with Rav Kaduri. personally select 8 very special esrogs which will then be raffled off among the donors. along with other gedolei yisroel (rabbonim not important enough to be named) send out very special and rare flasks of very special honey, especially sweet honey, that is blessed for you to have on your table for the Day of Judgement! So Rav Chaim Kanievsky has now been turned into the whole spectrum of Klal Yisrael in one swoop - he is the ultimate - the Litvishe-Hassidic-Sephardic rav! Last week, the Knesset Committee of Absorption held a special meeting in Bet Shemesh led by MK Danny Danon to deal with some problems seemingly unique to Bet Shemesh considering its high potential for continued growth and aliyah expansion, and considering its past a prime location and target city for new olim. The committee dealt largely with the seemingly limited growth that is being directed specifically toward haredim rather than for the general public in addition to the haredi community. Of course, the haredi press always see such statements as anti-haredi, claiming they are trying to stop haredim from building and buying, even though that is not the case. I did not see a single statement making that point. Rather, the idea was stressed that building for haredim is great, but it has to also include building for the general public. However, the only way to fight that is to make yourself into the victim of bias, so they turn on such thigns and say "so-and-so is anti-haredi", "the meeting took an anti-haredi agenda", etc. Regardless of that point, Mayor of Bet Shemesh Moshe Abutbol released a statement to the press that they will be filing a complaint with the Speaker of the Knesset and other relevant bodies regarding the inappropriate tone of the meeting, and the diverting of a meeting about absorption to a political agenda regarding internal affairs of the city unconnected to the issue at the core of the meeting. Personally, I have heard both sides of the perspective, from people who were there and from both side's press reports. It is actually quite fascinating how both sides can tell the same story, relating what happened at the meeting, in completely opposite directions. Who is right? What really happened? It probably does not matter. The committee for absorption is meant to deal with absorption of olim and not try to advance the polarization of the city residents. Bet Shemesh specifically is a preferred target for olim from countries all around the world, and thousands of families from the haredi and dati leumi sectors who have made aliyah from the diaspora live here, so the committee should have blessed Bet Shemesh for doing its part in absorption of olim. Instead of doing so, the director dragged the committee to dishonorable places, damaging the work of the committee and its objectives, and turning its table into a circus of desperate askanim. Abubtol said, "MK Danon appeared as though he was coming to Bet Shemesh to deal with the true problems of absorption, we thought we have a partner in advancing projects that are important to the city regarding absorption. Surprisingly, we were mistaken and his goals were different, and instead of the committee dealing with the issues in its realm it entered areas where it does not belong. The issue of the relations between haredim and secular in bet Shemesh is an important issue, and as mayor I represent everyone honorably, but these issues have their table, and there are also branches of the various political parties that would agree to host him to discuss those issues, but with all due respect this has nothing to do with the committee for aliyah and absorption. It turned itself into the committee for absorption of incitement. We will complain to the director of the Knesset and other relevant bodies regarding the activities by MK Danon that were against all the rules of ethics by cynically taking advantage in a shameful way of a very important committee of the Knesset. If I understood correctly, the point of the meeting was how building specifically for haredim, and letting the friction between communities grow, is harming the continuation of aliyah to the city. It was not anti-haredi in nature (though some will say that was the underlying drive behind it and the ultimate goal was to stop haredim completely, as if that is even possible at this point), but was dealing with how the haredi issues are affecting local absorption. But, again, as I said above, the only way to fight that is to make yourself a victim of discrimination and make it an anti-haredi issue. Kikar is reporting an unusual incident that resulted from a bracha given by Rav Chaim Kanievsky. A month ago a fellow shows up by Rav Chaim Kanievsky asking for advice and for a bracha. He had fallen to debt to the tune of 150,000 NIS, and the debt was weighing heavily on him and he did not see a way out of it. As Rav Kanievsky asked for details of his situation, he asked where he lives and what he does. After hearing the answer, Rav Kanievsky told him to move to a new home. Where he was living, Rav Kanievsky said, was not a good place, and he would not have success in educating his children there. The fellow responded that he had been offered to purchase a plot of land in Givatayim upon which he would be able to build his house, but he couldn't take advantage of the deal because of his debt. It was handcuffing him, and he would not even be able to take a loan, considering the amount of debt he already has, and it is just not possible. Rav Kanievsky told him to leave his current location, but the plot of land and move there. hashem will help find the money to cover the debts. According to the report, this week the fellow returned to Rav Kanievsky's house with a dirty and heavy bag. He went in to see Rav Chaim Kanievsky, and put his bag down on the table. he identified himself to the rav, reminding him of the story. 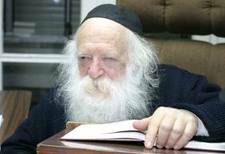 He told Rav Kanievsky that he has returned to show the rav that the bracha came true. He said that a few days ago they began digging on the piece of land he had purchased. As they were digging, they discovered this old bag buried there. When they opened the bag they discovered it to contain 150 gold coins, each worth 1000 NIS. 150,000 NIS to cover the debt he had been holding! Rav Kanievsky sent him on his way with another of his standard blessings of "bracha v'hatzlacha". While reading this fascinating story, I felt something nagging at me. I knew I had seen this story before, or maybe something similar. I did a search and sure enough, the story is almost exactly the same, in style if not in detail, of another incident with Rav Chaim Kanievsky that happened about 4 months ago. In that story, a fellow's institution was infested with mice. Debt was seemingly going to force him to shut his institution, but Rav Kanievsky told him to renovate and gave him a bracha. They discovered the location of the mice, and also discovered a bag of enough gold coins that would exactly cover the debt. So, does Rav Chaim Kanievsky have a specific specialty in brachot that help people find money to pay off their debts? Or maybe people are recycling the same story with different names and numbers? Or maybe it happened as reported? Andy Warhol famously said "In the future, everyone will be world-famous for 15 minutes". Toby Keith wrote a song called "Every Dog Has It's Day" whose message is very similar to Warhol's. Today is the day, the 15 minutes, of Ali Bongo Ondimba, the President of a little state in West-Central Africa called Gabon. Gabon has a population of about 1,500,000. With the blessing of natural resources, mostly oil, this small state in Africa is fairly prosperous. It is currently serving as a member of the United Nations Security Council. And that last item I mentioned is why Gabon is having its day in the sun right now. A country that was probably never heard of before by the average person, and the president of that country as well, is suddenly one of the most talked about. Holding membership in the United Nations Security Council makes its potential vote critical for both the Israelis and the Palestinians, if the Palestinian statehood bid should come to a vote in the Security Council. Of 15 members on the Security Council, the Palestinians definitely have the support of 7 or 8 members, but the vote requires 9 to be passed. With Gabon not having stated what it plans to do, both sides of the issue are courting Gabon and Ali Bongo. Gabon could be the 9th vote for the Palestinians, sealing the victory, or Gabon could be the vote that causes the bid to fail. An Israeli group has run a campaign to press Israelis to write to Bongo on his Facebook page, petitioning him for support. To the Honorable President of Gabon Mr. Bongo. Please stand strong and reject the unilateral request for Palestinian statehood. They should return to the negotiating table and achieve statehood as part of a bilateral agreement, where the problems will be resolved together rather than exacerbated. Thank you from Israel. The truth is though that I no longer am sure what i hope will come out of this United Nations debate. I have taken the line that is being promoted by Israel that unilateral declaration is bad, it will lead to a downward spiral in relations, actions and counter-actions, and will not be good for anybody, with many even expecting it to lead to war, intifada, and disaster. The Palestinians should achieve statehood by way of negotiation and working out the issues at the table with the Israelis. However, in recent days, having talked with various people, I have heard some other ideas that make a lot of sense, and have formulated some thoughts based on those opinions and ideas. We all know the negotiations are going nowhere. Can we really expect them to see a state coming via negotiations? Saying they should sit with the Israelis is, at this point, just another stall tactic. They have been sitting with the Israelis for 17 years already in negotiations, negotiations that has seen ups and downs, and I am not laying blame anywhere at this moment rather just stating a reality, and still do not have a state. The past 1.5 years has not even seen any negotiating. So rejecting the bid just because "they should negotiate their state" is really a non-starter. It is really just a delay tactic. Furthermore, perhaps a unilateral declaration is good for Israel as well. I know we always like to say "if they do this, we will then have a free hand to respond in kind" and then never actually respond in the way suggested, or continue to get restrained by others or criticized for not restraining ourselves enough. But in theory, if they declare a state, unilaterally, we could then treat them as a full state, with hostile relations, responding appropriately. This would be different then the current situation where we retain a certain level of responsibility as "occupiers", at least in the world's eyes. As well, a unilateral declaration will give the Israelis room to also make unilateral declarations. I don't know if our government will, but it could unilaterally annex some or all of the lands of Judea and Samaria that have not been annexed until now. As well, we could withhold taxes from being transferred, as well as requiring visas and passports for travel via Israel, stopping the crossing between Gaza and the West Bank. Perhaps the new Palestinian state would have more responsibility vis a vis obtaining the release of Gilad Shalit. Rejecting the statehood bid for the negotiating table sends us right back to the current status quo which has been going nowhere for a long time. Is that really a solution? Perhaps statehood is worth supporting - not even because of them, but for us? This is not a particularly Jewish video, but the message seems appropriate..
Are the sikrikim/kannoim/thugs community on a downturn? A few recent events point to the fact that the thugs are seeing a cycle where they are not coming out ahead. Authorities are finally starting to come down on them a bit harder than before, and the wider community is finally beginning to reject them and specifically their activities. Last night in Bet Shemesh the kannoim/thugs held a rally regarding the OROT school issue. They had called for a major hafgana, hafganat anak as they called it, hoping to bring in rabbonim and supporters from all over the city. In the end they drew only a few hundred people, not exactly qualifying for the "anak" status they were looking for, and they only got their own local rabbonim to show up. They must be starting to feel isolated from the general haredi community after such a disappointing show of support. In Mea Shearim yesterday a leading thug, Mottel Hirsch of the Neturei Karta, was arrested for his part in harassing the owner of the Phr Hachayim bookstore, and for running a protection racket. He has even been called the leader of the "Mea Shearim Mafia" and the "ultra-orthodox mafia". Kikar is reporting that Electra is suing the thug mentioned above, Mottel Hirsch. When he was arrested it was discovered that he had a motorcycle of Electra's. When they saw that they realized all his activities are not religiously motivated by criminally motivated. Hirsch attempted to run a protection racket against Electra and damaged a lot of property. Their insurance company paid millions to cover the damages caused by Hirsch and his goons, and now they are going to sue to recover that money. Electra was targeted in recent grave-digging protests, as they had been previous owners of land that was being excavated for the building of a hotel. The thugs suspected graves were underground and wanted to control the excavation and construction, and put a ban on Electra in the process to try to get them to capitulate, and damaged a lot of their property. I think in the end most things come down to money. It is either that, or else this new issue in New York reeks of serious sexism. In my opinion there is probably a little bit of sexism involved, but mostly they are worried about money and competing organizations taking some of their pie. A womens group in New York wants to expand their unit, called Ezras Nashim, a first aid unit that is part of Hatzala in New Square. They wish to open similar units in other parts of New York, and are meeting with opposition from Hatzala. 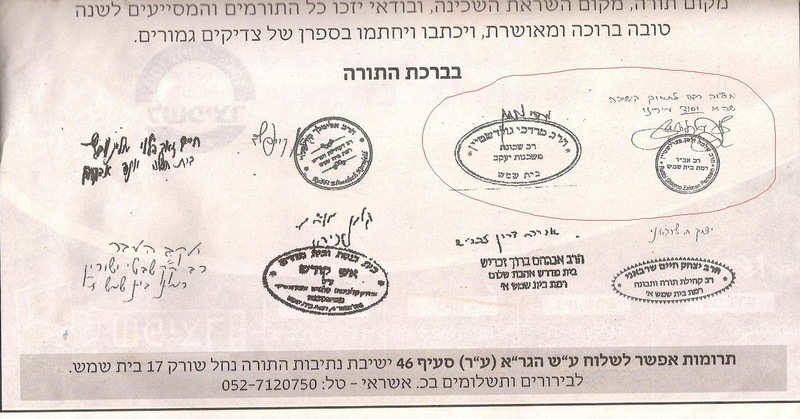 According to Bechadrei, the Hatzala organization originally had female paramedics, but eventually they were no longer allowed to operate within Hatzala, under the directives of rabbonim. The women say that it is time to have such a team of women to respond to calls in which women are involved, such as births and other emergencies. Hatzala is trying to stop them from opening, and is trying to take them to beis din for a hearing.. The statement from one of the leaders of Hatzala is fairly sexist in saying that he opposes it because the women will not be able to perform the necessary duties involved. He said, "A Hatzala volunteer does not just need equipment and knowledge, but has to be in good physical shape. The volunteer needs to lift people up and carry stretchers, and these are activities the women will have difficulties with." In the end these types of fights are usually about money, and the fear that someone else is taking part of my pie. They Will Always Be Israelis.. but the kids will not be... It's Time To Come Back To Israel... The Ministry of Absorption is running a new campaign targeting Israelis who have left Israel and trying to draw them back to Israel. This 2nd video made me cringe...I found it particularly painful..
Back to the issue of religious soldiers having to deal with female singers, and the army having to deal with them... there are two interesting articles discussing the issue. One is in Ynetnews. The columnist writes that the army should get rid of the army glee club (the military band). The religious soldiers are more important to Israel and to the army than some singers. While many have shown that they can sit there and ignore the singing instead of making a big deal, including the Chief Rabbi Shlomo Amar, that does not make it right. Religious soldiers compromise a lot in the name of danger and saving lives, and having to listen to female singers is not an issue they should have to compromise on. The army, the writer says, is no longer a secular army, and the religious soldiers should be considered in such affairs. The one demeaning part of the article is where he writes "Religious Israelis are procreating and enlisting en masse, and we must take them into consideration.". That is particularly demeaning, the way he writes it. Besides for that it is an interesting perspective. The affair involving religious soldiers stepping out of a performance at their training base because of female singers is a classic clash of two extremities. Nothing good can come out of it, only a head-on collision. On the one hand we saw military cadets who decided to be more righteous than Israel’s chief rabbi, and on the other hand we saw commanders looking for mishaps. There is no doubt that the commanders were right to dismiss the refusenik cadets, because the army is premised on discipline. However, now we should also consider the dismissal of the commanders who led us into this abyss. Not too long ago I was at a national commemoration ceremony at Mount Herzl. Chief Rabbi Shlomo Amar was sitting in the first row. Suddenly, without advance warning, a female in uniform walked up to the microphone and started to sing. All eyes were on the rabbi – will he be stepping out now? Yet the honorable rabbi remained seated. He looked down, and that’s it. This was very noble of the rabbi, and he was the only person to act nobly there. Ceremony organizers behaved foolishly by failing to spare him this embarrassment. They should have decided ahead of time what to give up: The female singer or the chief rabbi’s presence. In the abovementioned case of the cadets and the female singer, there is no question who we should give up. The IDF requires combat soldiers more than it requires female singers. In the next war, the army will be sending Golani to the front, not a military band. And Golani today comprises numerous religious soldiers. For a while now, the IDF has not been an army of seculars only. Religious Israelis are procreating and enlisting en masse, and we must take them into consideration. If the IDF is the people’s army, then it’s also the army of the religious. Many intellectuals are still cultivating secular arrogance around here and treating the religious as subtenants. However, these intellectuals simply failed to look out of their window in recent years. Some 42% of officer course cadets are religious these days and we even have religious division commanders and a religious deputy army chief. The military’s cultural offerings must undergo a comprehensive reform that will adapt them to the sociological changes in the IDF. If we cannot avoid the friction between female voices and religious ears, perhaps we should be giving up our military bands. Former Army Chief Rafael Eitan already terminated them once upon a time; who was the idiot who brought them back? The second article is one explaining why the Army Chief Rabbi Rafi Peretz has not yet issued his ruling on how religious soldiers should behave in such situations. Last week he said he would consider the issue and make a ruling, yet until now he has failed to publicize his psak. Srugim reports that he has not publicized his psak because he intends to rule in favor of the religious soldiers saying they should not be forced to remain and listen to female singers. The reason why he has not yet publicized his psak, why the Chief of Staff has not yet approved it, is because "the army is afraid of Haaretz". The IDF is afraid to set policy it thinks is correct because of concern of what the reaction will be of Haaretz newspaper. The country has turned to the right. The majority of Israelis are traditional and right wing. The IDF should not be afraid of a leftist and anti-religious newspaper. They should sideline the newspaper and show they are not concerned but will do what they decide to be right, even if it offends the sensibilities of Haaretz. The other option is ignoring the sensibilities of most Israelis, the right wing and traditional Israeli, whether on this issue or on other issues. The army should be adopting the policies that fit with the people. If the army has decided that the time has come to respect the religious needs of the religious soldier, they should not be afraid of Haaretz.